I'VE GOT TO BLOW THIS JOINT, SOMEBODY OUT THERE MIGHT BE BUYING MY STUFF! Good lord girl, you don't have time to sit in that chair! Pull a bandana over that head, and throw on a pair of sunglasses. The latest edition of the New Century Collector is out, and there's shopping to be done. Remember, You snooze you lose. You don't want to be caught sitting around. Not when just one click of the mouse will get you an early peek at the new June issue of the Collector. A girl has to have her priorities straight you know. 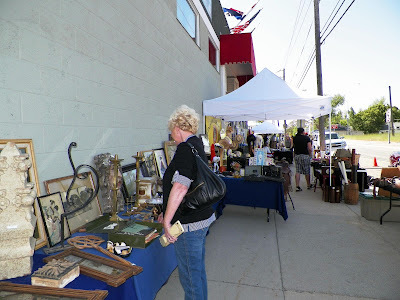 ACORNS ANTIQUES SHOW - May 19th: What do you mean, “can you see my wallet” fugettaboutit! 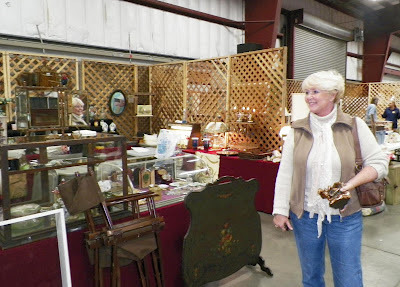 There are dangerous places in this world, but nothing makes me more nervous than turning Lyn loose at the Acorns antiques show. If you can’t find plenty to buy at this show, your amateur status is safe. 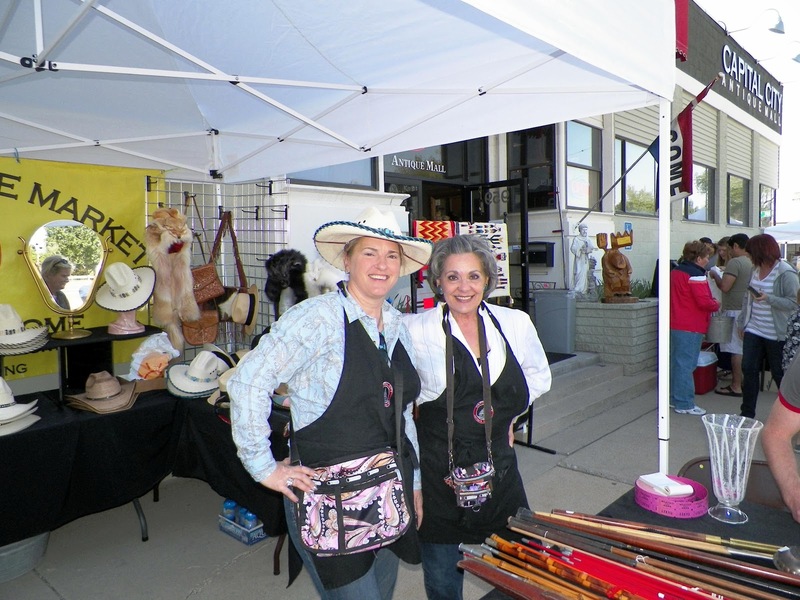 Big crowds and a diverse group of dealers make this is the hottest Utah show since Walter Larsen was attracting the ermine toque crowd at the expo center. You’ll find a little bit of everything at Acorn’s. But it’s not just the antiques that make this show a shopping mecca. They should all be like this one. The atmosphere us casual, the dealers welcoming, and promoter Heidi Wilcock makes everyone feel like an old friend. 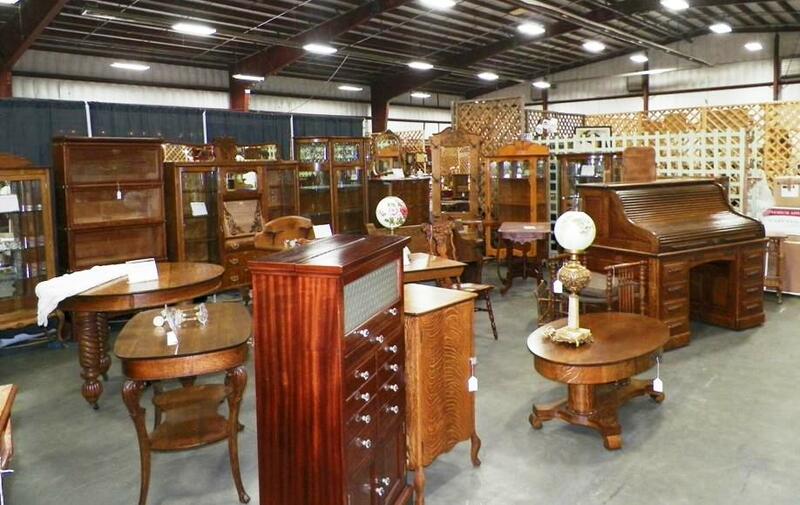 If you love antiques, and can afford the gas, this show is worth the drive from anywhere. Lyn never disappoints. This time she was shopping for me, picking up a nice set of Indian scout & dog bookends. Should be good for two steps toward Nirvana. See you out there! If you've read the New Century Collector, or have taken a look at our blog, you know that our motto is: If you find antiquing to be a religious experience, the Collector will get you to church. 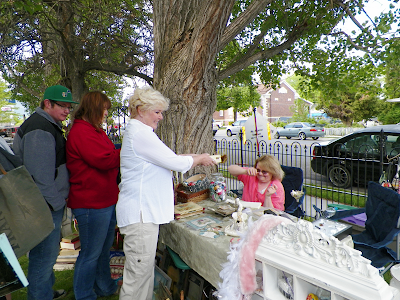 Well, this past Sunday, services were held outside, at the Capital City Antiques Mall, In Salt Lake City. We arrived a little bit late, but the place was still teeming with religious artifacts. This is surely what the god's intended antiquing to be. Fresh air, tables laden with goodies, and a truck loaded with sustenance, all basking in warm spring sunshine. 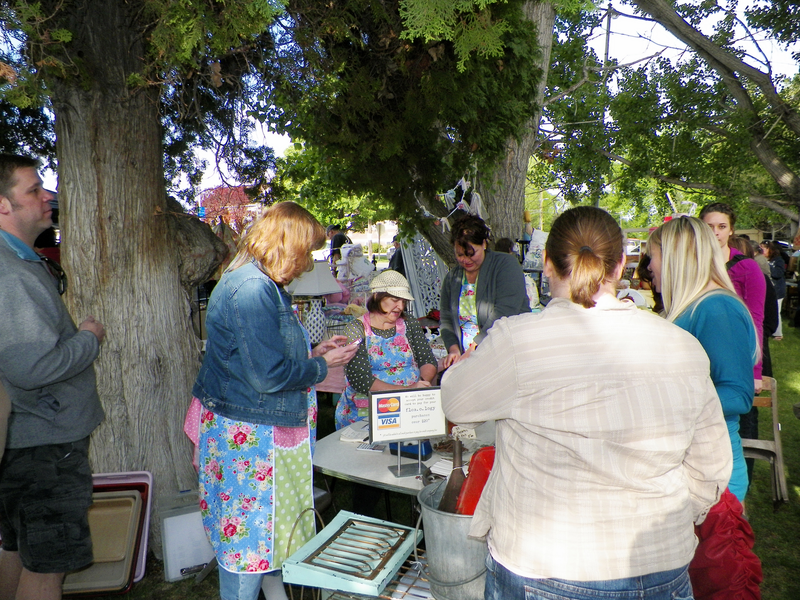 I looked around and noticed Lyn hadn't waited, she had already made one purchase and was working the tables like a pro. So I walked around, talked too much, and shopped too little, but still managed to nab a great peach mirror GE/Techron table clock for a paltry thirty bucks. 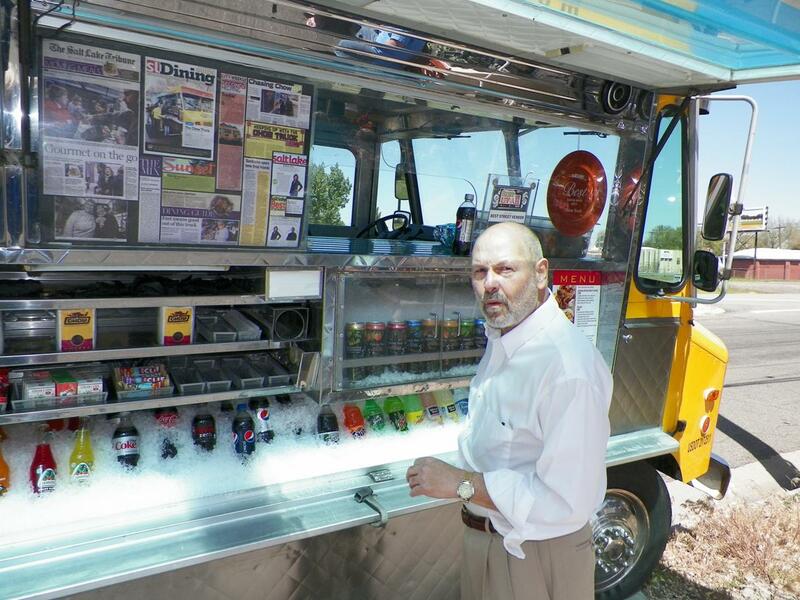 Since the clock satisfied my craving for stuff, it seemed like a good time to check out the food truck. Carrying a diet coke in place of the Hershey bar, we headed back to the car. I had a new clock, Lyn had a couple of new artifacts, and my wallet was still substantially intact. All in all, a great Sunday service. 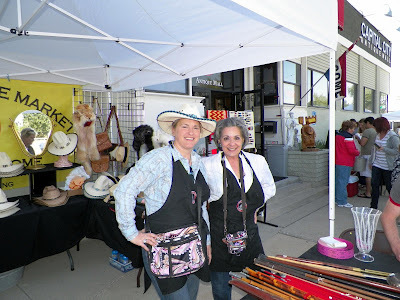 On the way out, we encountered Capital City Antiques owner Monica Zoltanski, who was sporting a smile and a great hat. We told her we had a terrific time, and would be back for her June 3rd sale. Looks like We'll be regular members of her Sunday flock. Sometimes it's good to know what your stuff is worth, and sometimes you wish you hadn't ask. 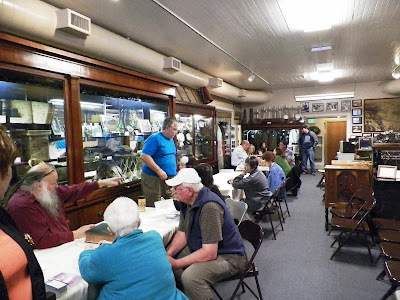 The Utah Antiques Dealers Association held a small flea market and antiques and antiquarian books appraisal event at the Sandy Historical Museum. 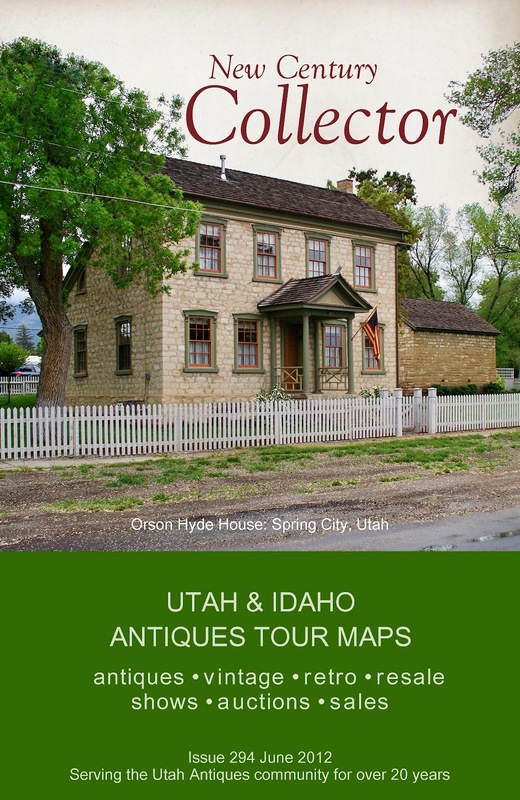 Hundreds of inquisitive collectors brought their treasures to be appraised by 3 of Utah's foremost antiques and rare book experts. It was a mixed bag of smiles and frowns, as Gary Thompson (Gary Thompson Antiques), Nate Bischoff (Bearcat Antiques & Appraisals) and Ken Sanders (Ken Sanders Rare Book), passed out the good and bad news for about 6 hours. Appraisals were a bargain $3.00 per item, with all proceeds going to the Museum. This is an annual event, so keep an eye out next spring if you would like to get the scoop on your best stuff. 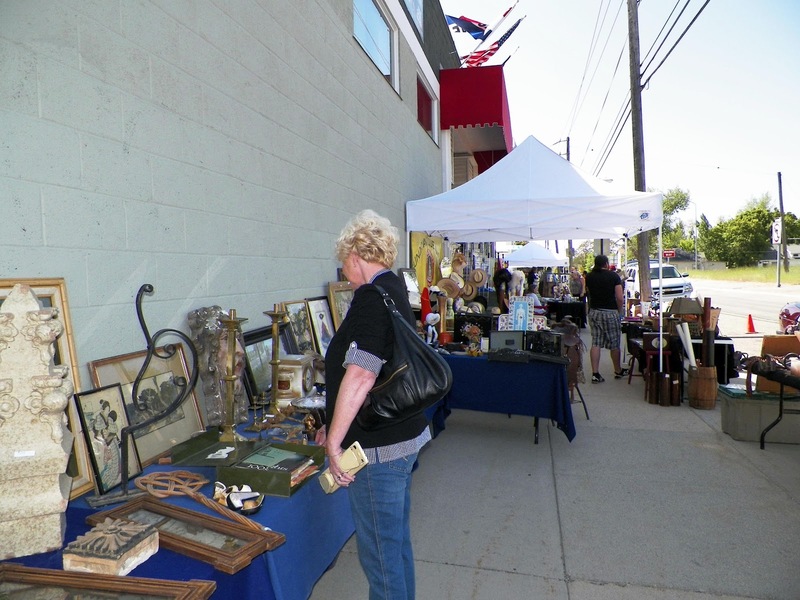 Along with the appraisals, the Association held a small flea market in the museum parking lot. Lots of folks came for appraisals, but couldn't resist adding a piece or two to their collections before they left. Keep your eye out for information about future dates for this fun antiques event in the New Century Collector. Flea Circus: Hey, they're getting through the gates, and someone is looking at me kinda funny! You don't want to be standing too close to the gates when it's opening time at a Flea.o.logy sale. Someone is likely to pick you up, shake off the dust and stick you in the holding area until they can figure out how you can best be re-purposed. 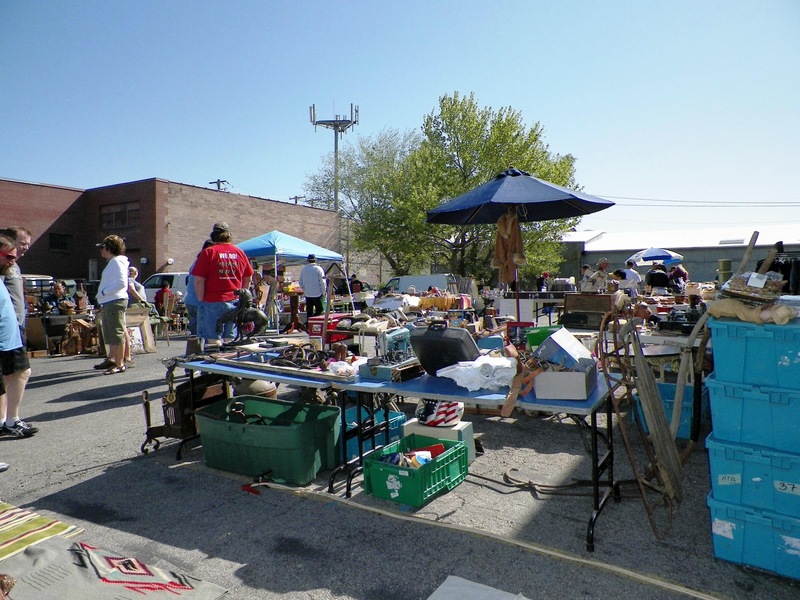 Paula, Cathie & Jen (the flea.o.logists), remain the Queens of the recycle, re-imagine, re-love crowd, with their intermittent open air markets attracting a swarm of avid vintage shoppers. 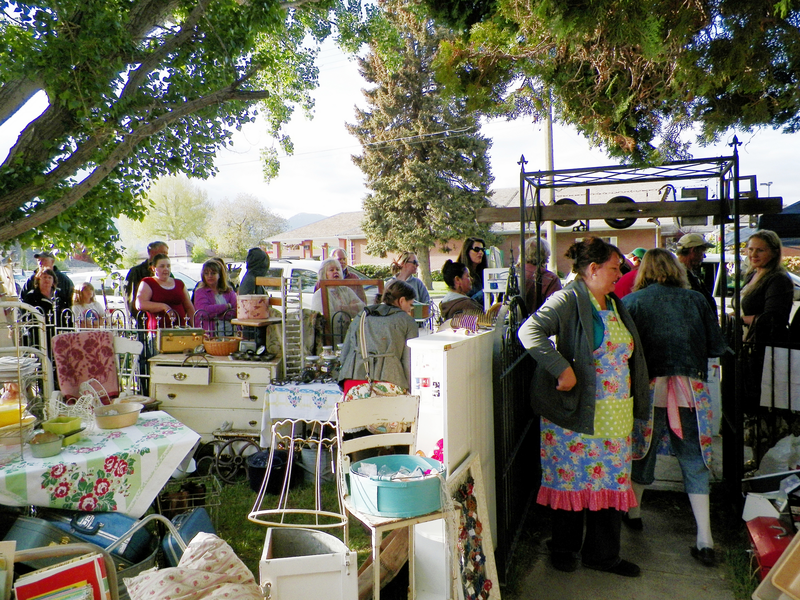 Their Saturday sale in Payson was no exception. 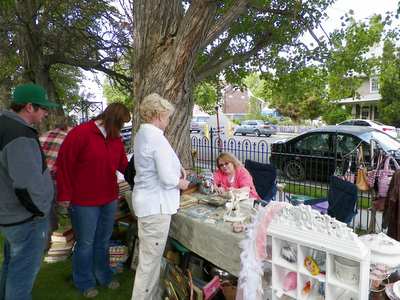 Stephanie from Abode in Salt lake, puts the finishing touches on her booth. Having arrived a few minutes before opening, Lyn & I strolled around the peaceful grounds, and watched as dealers finished stocking and arranging their goods, knowing, it was all for naught, as the sale hungry crowd would have the place disheveled and picked clean in pretty short order. As they come through the gate, this group of shoppers seem confused as to whether they should go left or right, knowing the right decision will lead them to that sought after treasure. Fascinated with the crowd, I began shooting a few pics, and Lyn of course began her usual pilgrimage to the sale tables. Nirvana seemed in sight, as it didn't take long for her to find an object to add to her collection. Buyer and Seller each seem to think they got the best of the deal. I think they did, a small step towards Nirvana, and a coin or two for the dealers hard work. We were running late, so it was a quick trip through the central checkout, and off to Sandy for a UADA sponsored sale & appraisal event. 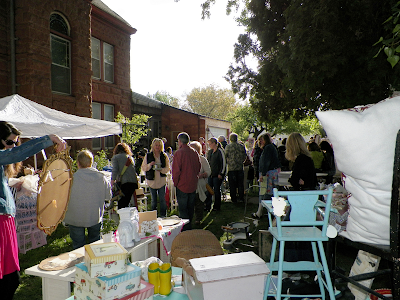 If you haven't made it to one of the Flea.o.logy sales, you ought to make the scene. Fresh air, sunshine, vintage goodies and most of all, lots of fun. What more is there. Watch the New Century Collector for upcoming flea.o.logy events.